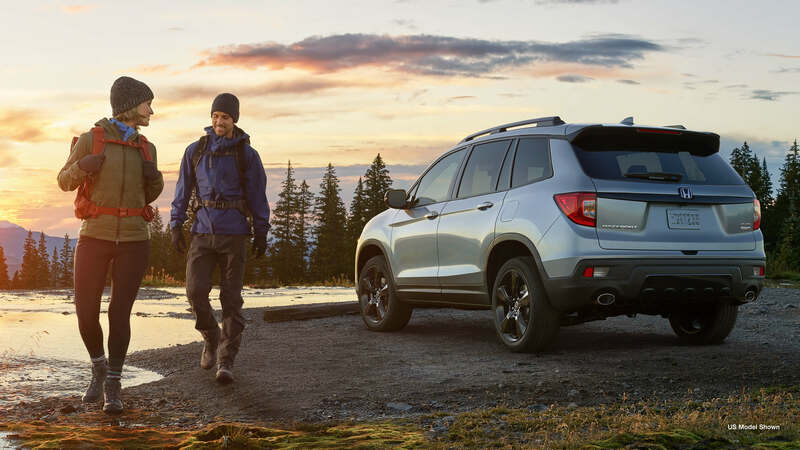 Dow Honda | 2019 Honda Vehicles | Pre-order the Honda Passport! The Honda Passport is Honda’s brand new, rough-and-tumble SUV. It can truly bridge the gap between a typical SUV and a truck. The 2019 Passport can handle any terrain, thanks to its three driving modes: Snow, Mud, and Sand. It will be arriving soon, and you can pre-order it now with Dow Honda! Click here or call us at 613-237-2777 to pre-order yours! The full specs of the 2019 Passport have not been released, yet. What we do know is that it will be available in three trim levels: the Sport, EX-L, and Touring. There will be five paint options: Modern Steel Metallic, Obsidian Blue Pearl, White Diamond Pearl, Crystal Black Pearl, and Deep Scarlet Pearl. The interior will be available in black fabric or black leather. All trim levels will be powered by an i-VTEC, V6 engine with available AWD and a 9-speed manual transmission. The Honda Passport’s signature features are its driving modes, which adapt to different terrain. The Snow driving mode will be standard, and the Mud and Sand modes are only available with AWD. 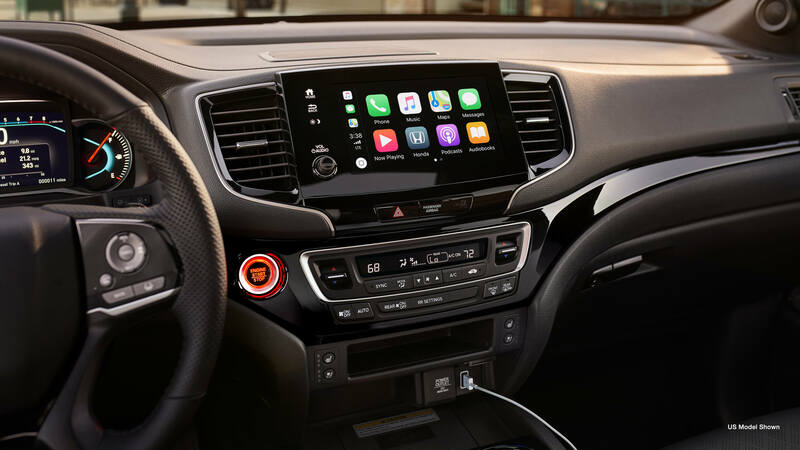 A full list of the Passport’s technology hasn’t been released yet, apart from Apple CarPlay, Android Auto, and the Honda Satellite-Linked Navigation System. Don’t worry, Passport fanatics! We will update you on all Honda Passport news, as it becomes available.